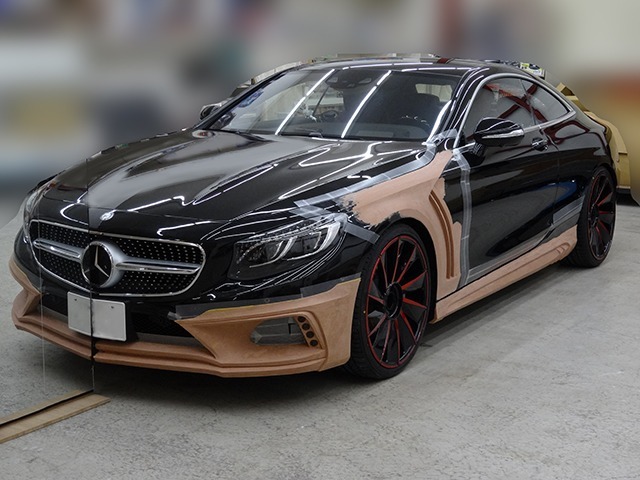 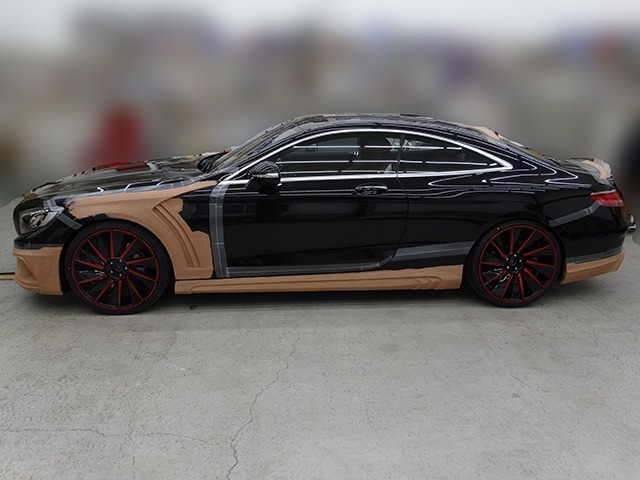 WALD S Class Coupe preview: Check out the pics below from our design studio in Japan of our new Mercedes Benz C217 S Class Coupe body styling. 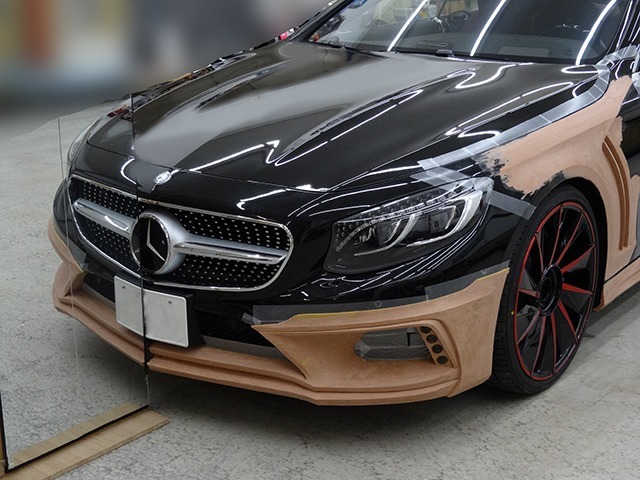 We keep in line with our Mercedes Black Bison design lines similar to our W222 S Class sedan. 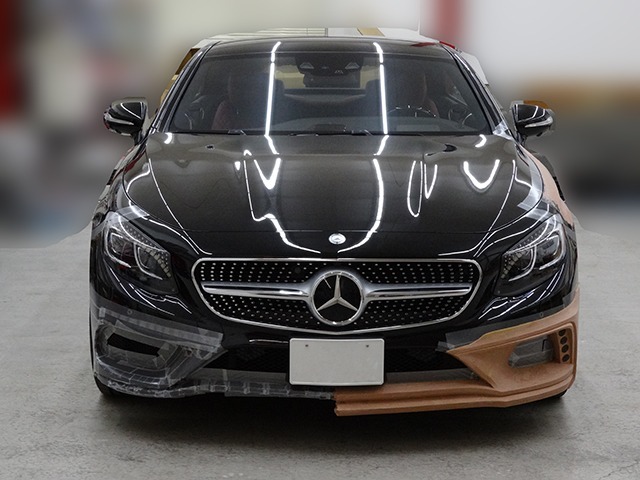 The main difference: we chose to design a front half bumper instead of a full bumper replacement for both the front and rear end. 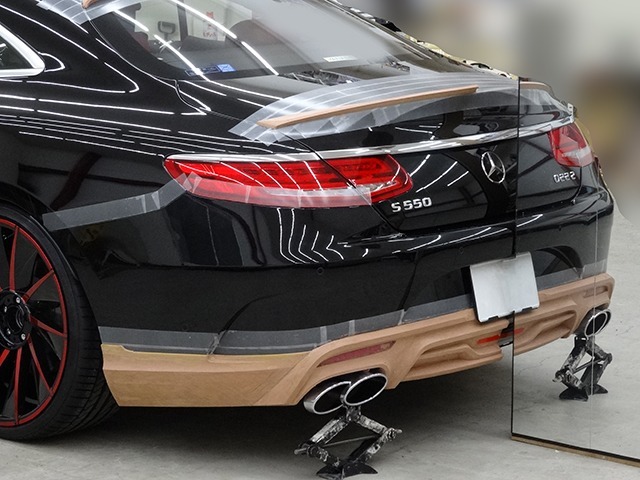 The half bumpers will apply to all C217 S Class coupes with the Mercedes Benz Sport Package option. 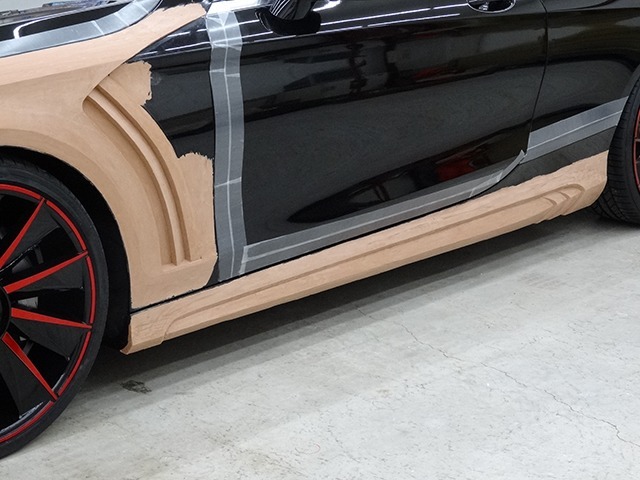 The rest of the styling kit will include side skirts, sport fenders, roof wing, trunk wing and our new B11C 22×9.0 22×10.5 wheel.